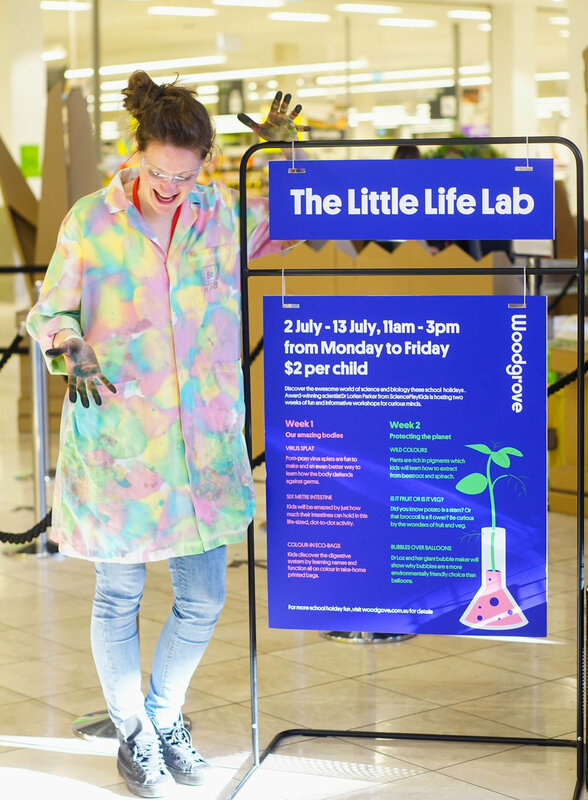 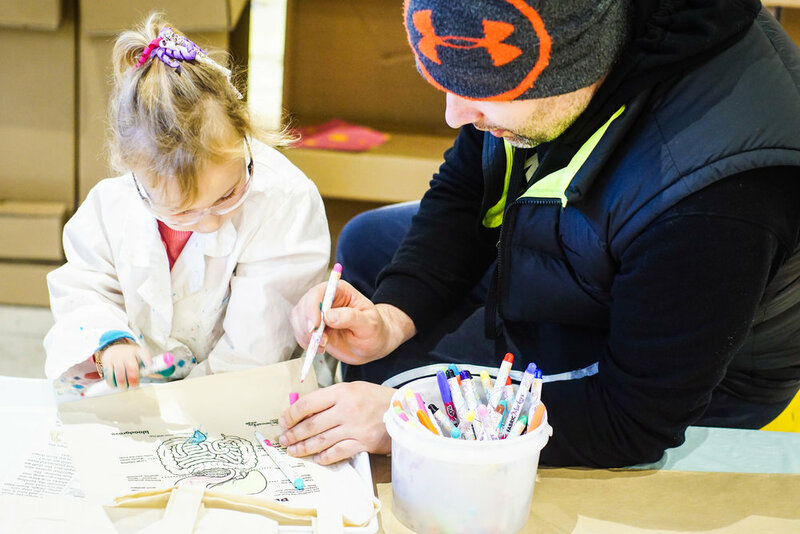 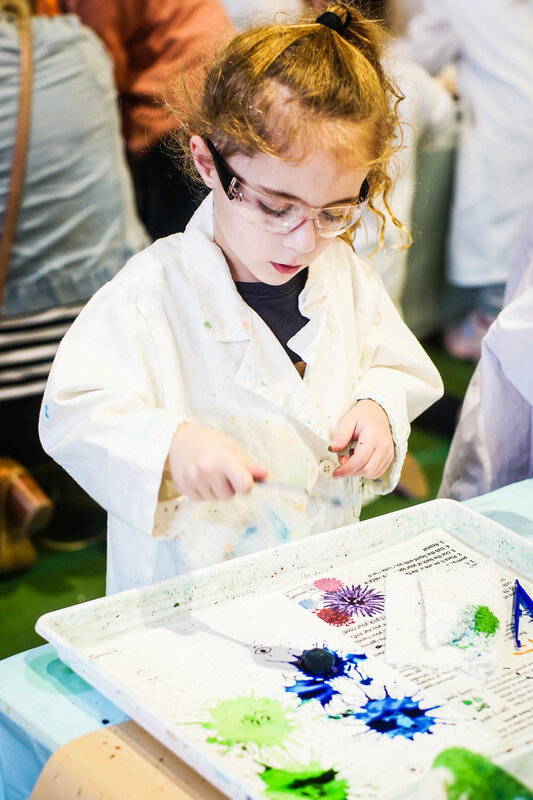 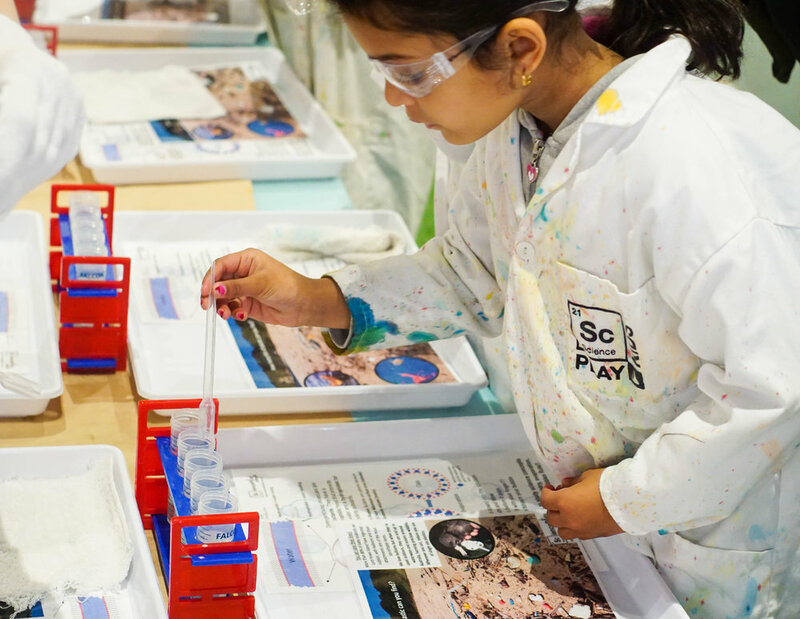 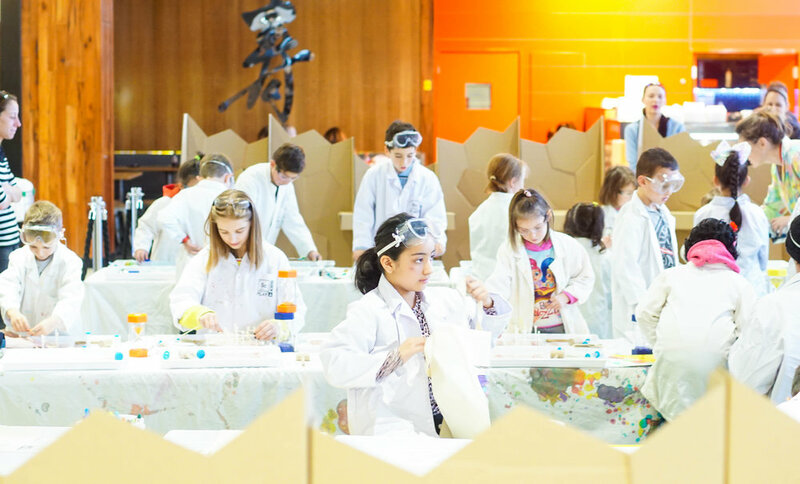 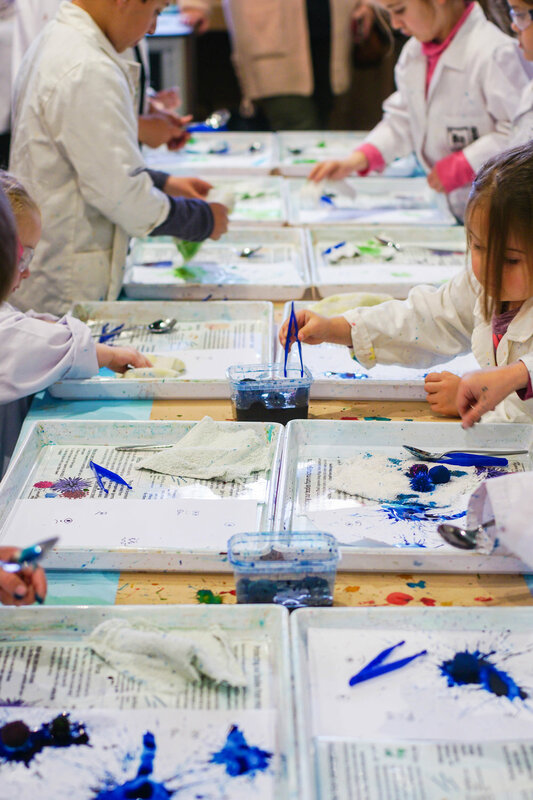 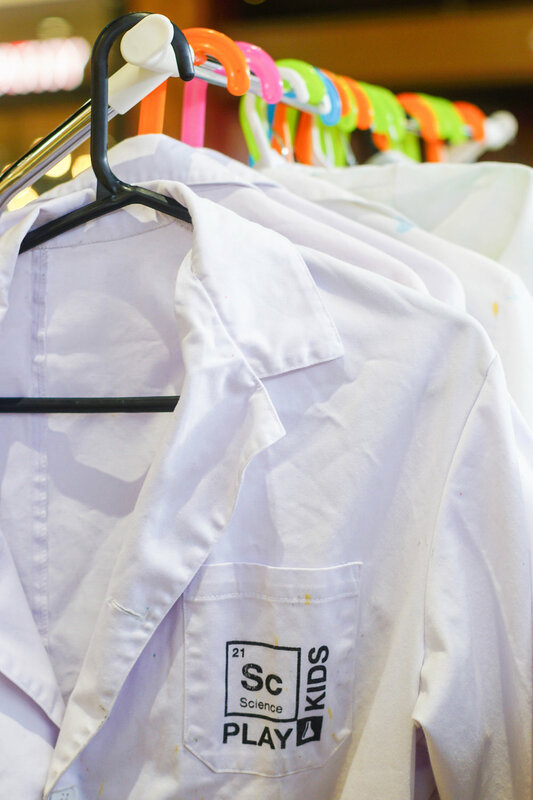 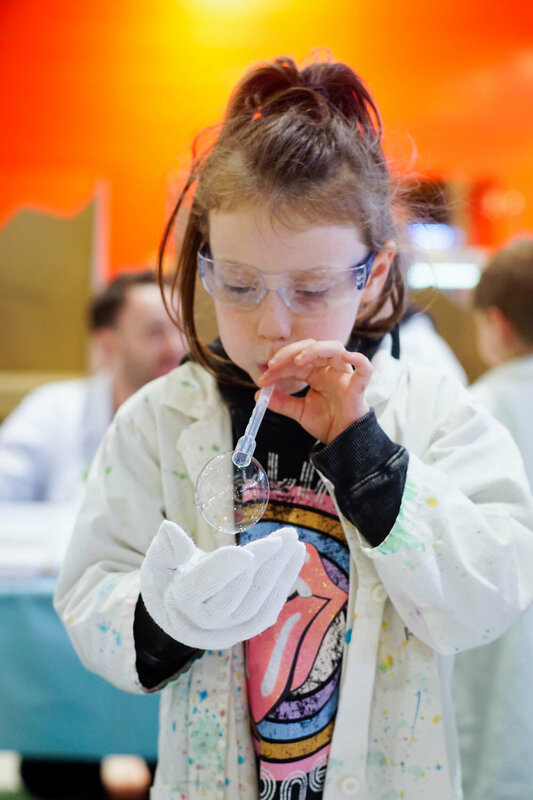 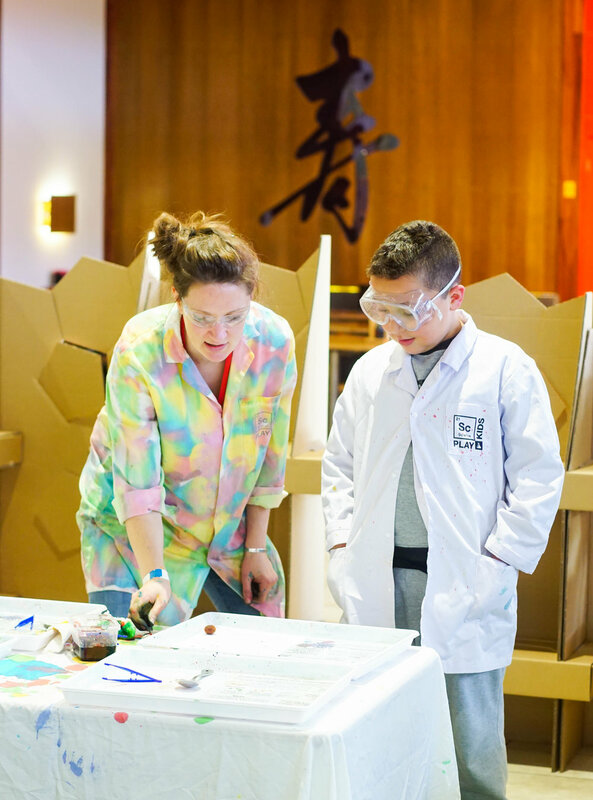 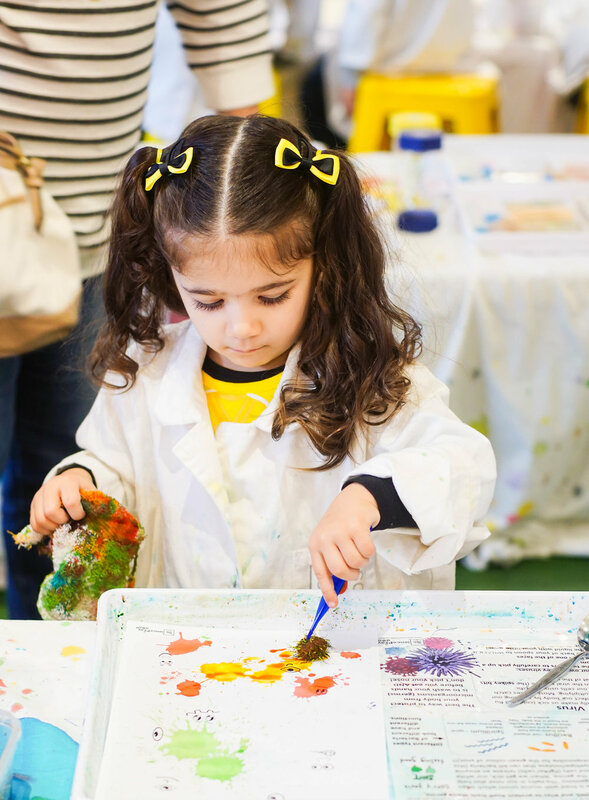 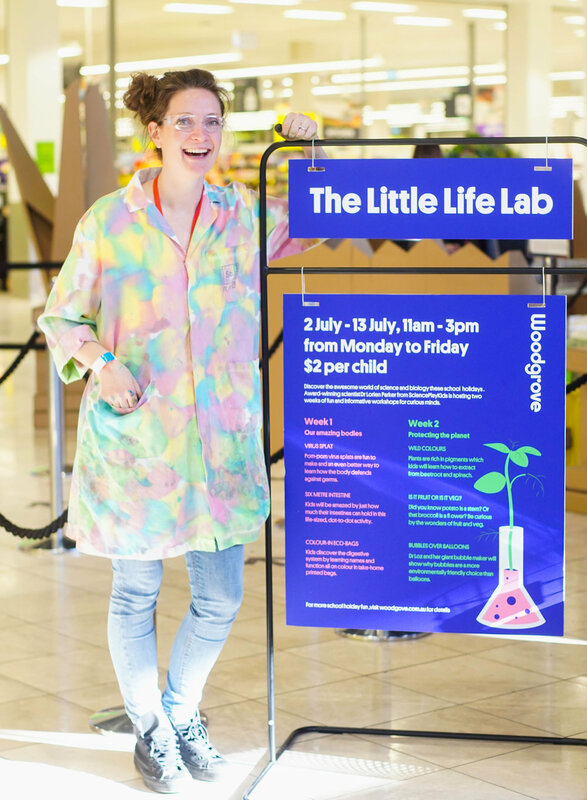 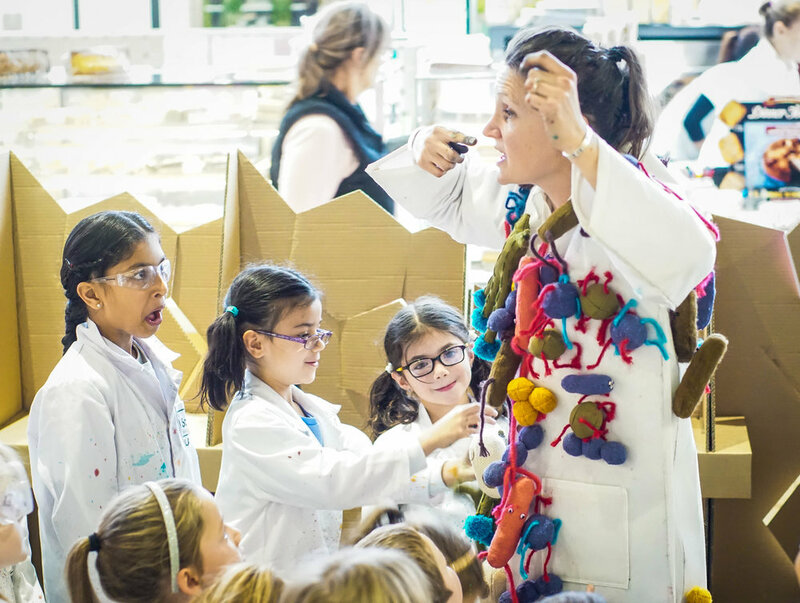 Award-winning scientist Dr Lorien Parker from SciencePlay Kids hosted two weeks of fun and informative workshops for curious minds at Woodgrove Shopping Centre over the July winter school holidays. 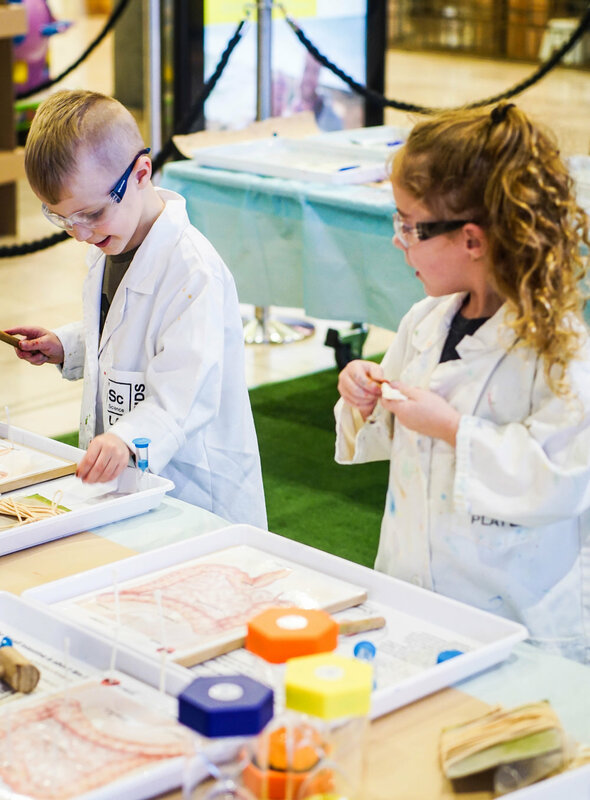 Wheelie Good Fun produced the event in collaboration with SciencePlay Kids. 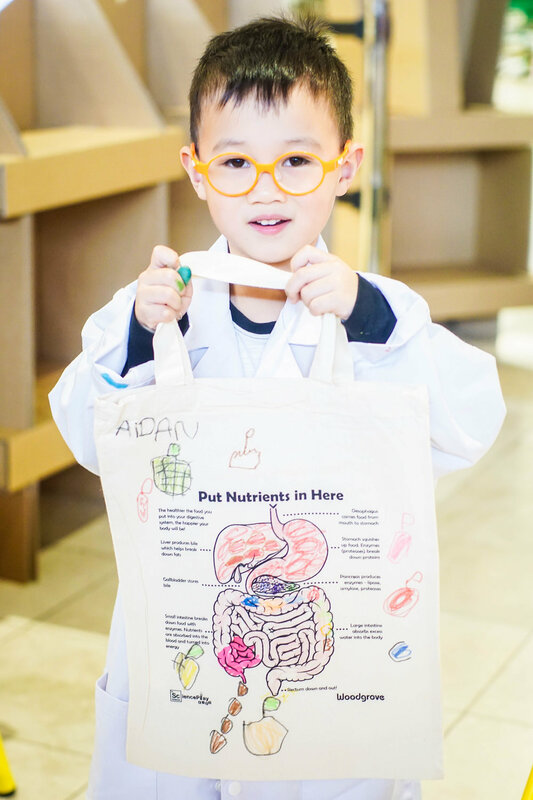 Children learned how the human body’s immune system works, how our bodies turn food into energy and why healthy eating is important through three activity stations. 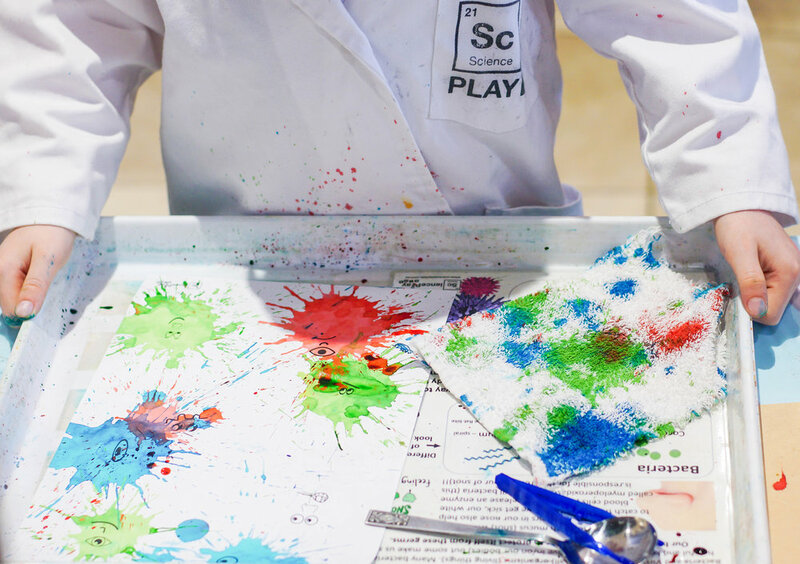 • VIRUS SPLAT Pom-pom virus splats are fun to make and an even better way to learn how the body defends against germs. 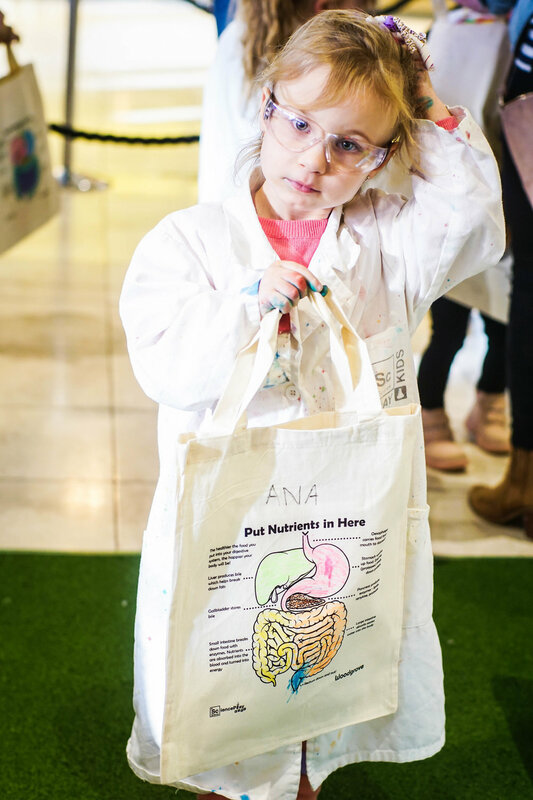 • EIGHT METRE INTESTINE Kids will be amazed by just how much their intestines can hold in this life-sized, dot-to-dot activity. 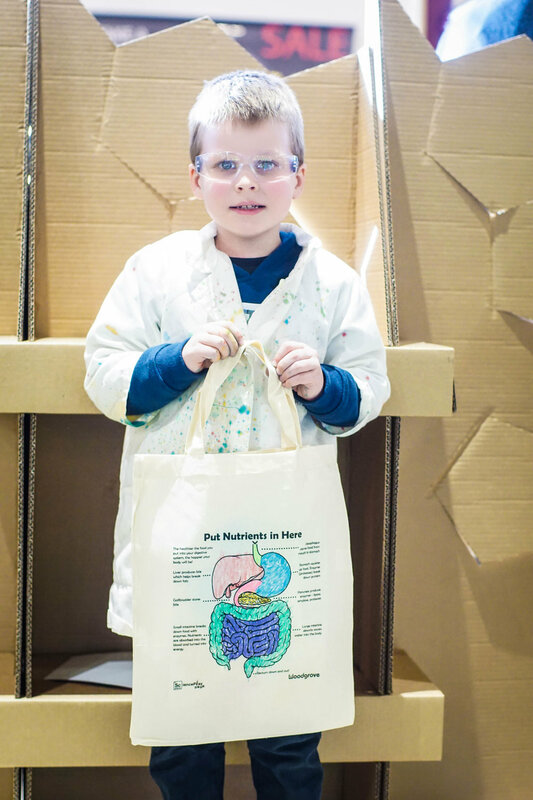 • COLOUR-IN ECO-BAGS Kids discover the digestive system by learning names and function all on colour in take-home printed bags. 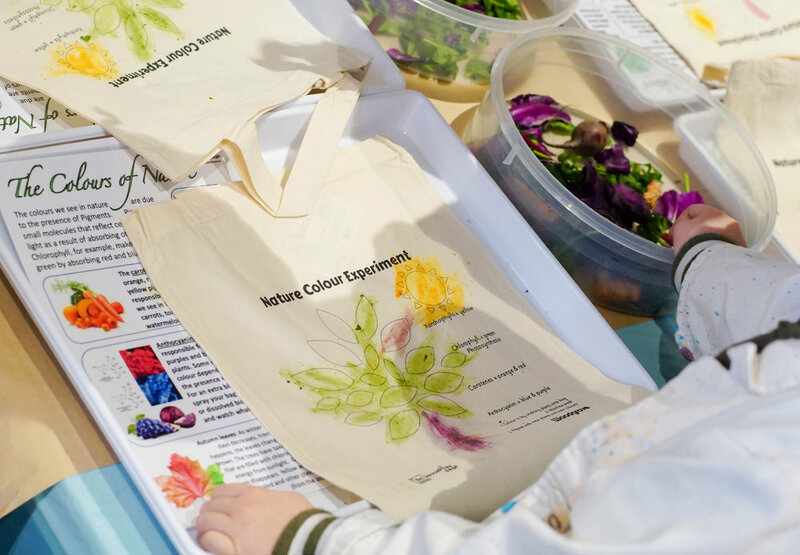 • WILD COLOURS Plants are rich in pigments which kids will learn how to extract from beetroot and spinach. 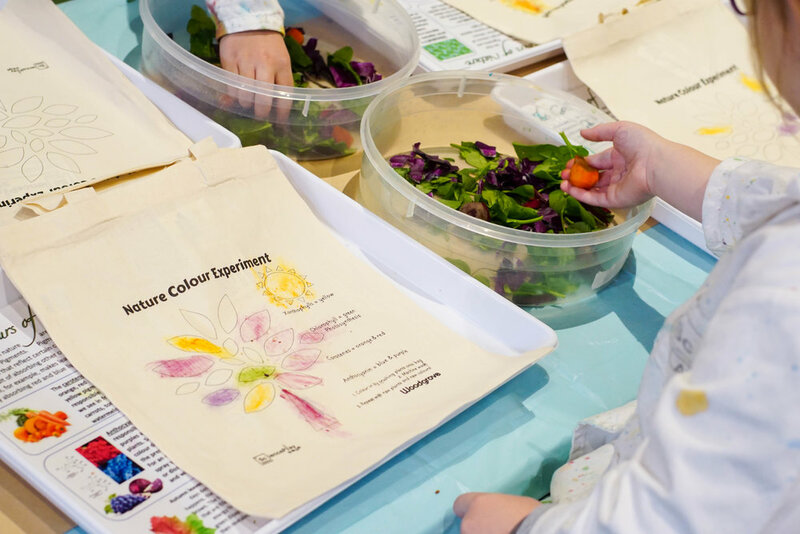 • IS IT FRUIT OR IS IT VEG? 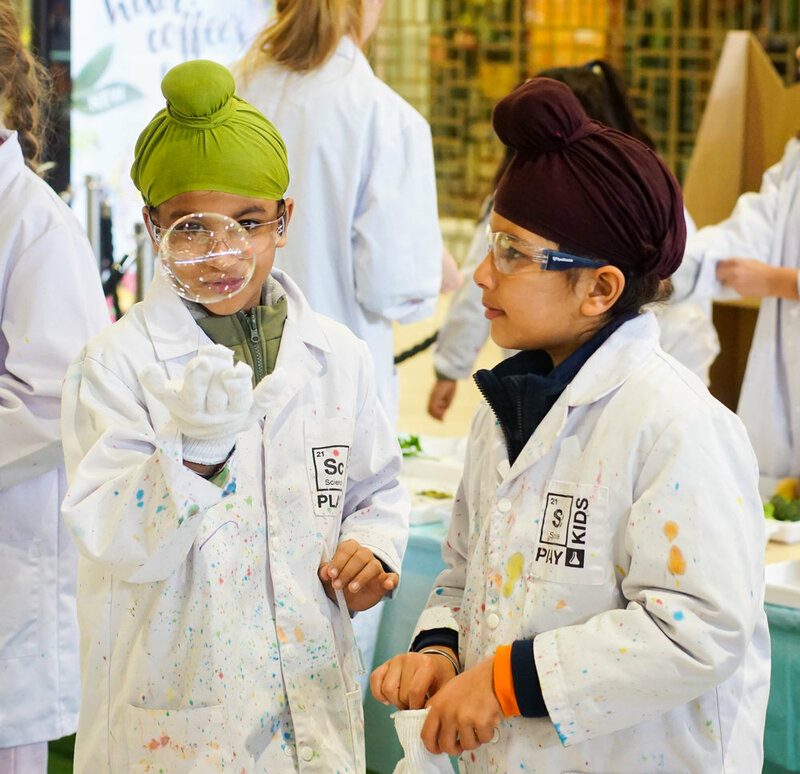 Did you know potato is a stem? 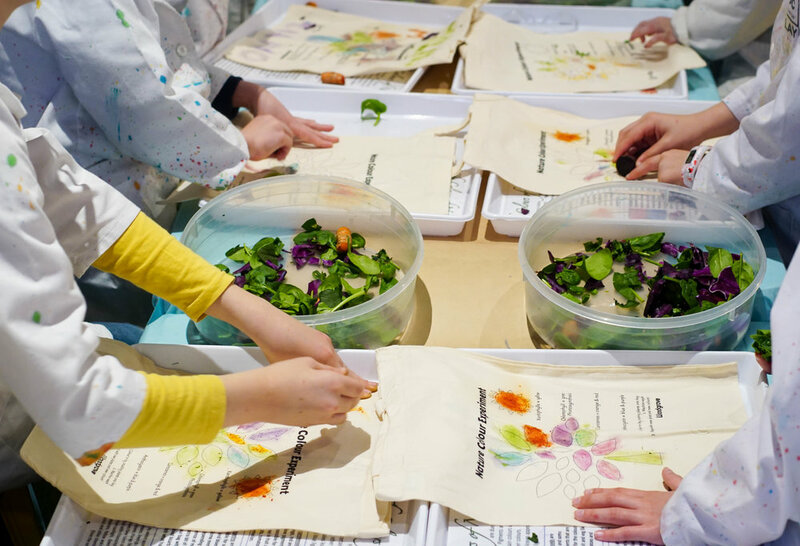 Or that broccoli is a flower? 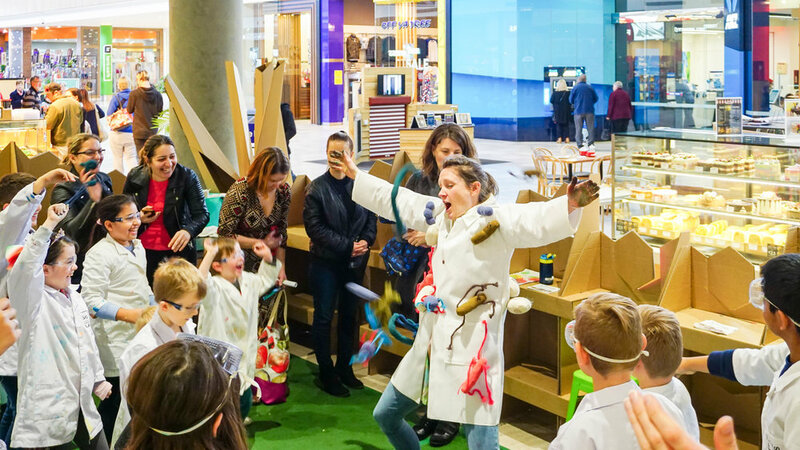 • BUBBLES OVER BALLOONS Dr Loz showed why bubbles are a more environmentally friendly choice than balloons.